Until The Whole World Gets A Little Sweeter! Great deals presented to targeted audiences brought in by powerful influencers on a fun, virtual, one-stop-shop platform. Hunny delivers a social e-commerce experience all-in-one-platform. What’s the BUZZ about Hunny? To our knowledge, once launched Hunny could be the first platform to combine unbelievable experiences, free prizes, deals and engaging social media influencers — all on one platform. Hunny is designed to be a curated social e-commerce experience built to bring a once-in-a-lifetime personalized experience to the world through our engaging lounges that are built around a user’s passion. We plan to give members tailored content, discounted products and services, and the opportunity to win or purchase memorable experiences. 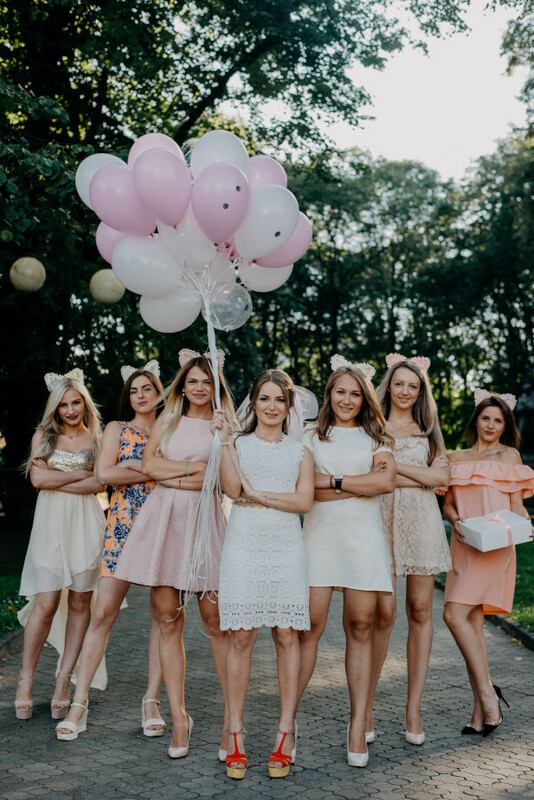 We hope to have Hunny’s affiliate partners produce once-in-a-lifetime experiences, coupled with social influencers who are passionate about sports, entertainment, fashion, and more in a one-stop-shop virtual platform. Hunny aims to build social lounges around our members’ interest in various personalized social experiences and categories, such as sports, entertainment, music, fashion and more. As members engage within their lounges and click through excursions, products, brands, deals, and memorabilia, they will be able to make discounted purchases. "I love the concept. I will be one of your initial 100 influencers ready to promote you to my 170,000 followers when Hunny as an app launches." Interested in NASCAR? You could be able to buy an amazing experience with a driver at the touch of a button. Love Reggae music? Check out this amazing, exclusive concert. Into boxing? Get a front-row seat to the fight. Easily navigate from activity to activity through our interactive platform of lounges. We plan to offer experiences from fishing to football, from climbing in the Swiss alps to NASCAR — allowing our users to jump between interests, activities, merchandise, and experiences they love with the click of a button — all within one platform. This could save our users time, and increase our data collection. Our wide array of offerings mean we're the only virtual platform where you can get everything you want. You can window shop for experiences you want or click between what you love easily. Hunny curated amazing social experiences that our influencer-driven audiences will love. Convenience: Hunny creates a social community experience on a virtual platform connecting people who are passionate about what they love to influencers. A one-stop-shop! One click, one log-in, one place for members to go to explore every angle of their interest, from purchasing unique experiences, memorabilia and products to chatting with fellow fans in a social media environment. No more wandering around the web from site to site, only to be chased by ads you’re not even interested in. With Hunny, it’s easy to select the particular topic of interest in, but there’s no limit to exploration. Like NASCAR and jazz? NFL and fashion? No judgments here! Access: Buy amazing curated experiences, products that are deeply discounted, hard to find deals tailored to the users lifestyle and daily prizes. Access to the influencers a member follows. Access to a community of like-minded folks. Admission to Red Carpet events not available to everyone, Unique social experiences with your favorite Ambassador. Each of our users are specifically targeted for events they'll love! We use artificial intelligence (AI) and data analytics to personalize the experience to reflect a member’s interest. Rewards: Users are rewarded with Hunny loyalty points for browsing and using our site. Prizes are earned the more they use Hunny. Hunny rewards them for everything they do on the site. Looking to buy tickets to a popular concert or game? Book a bucket-list trip? Or just buy the outfit their favorite influencer is wearing? Each time our members interact with the Hunny community — even if they are just window-shopping or browsing influencers — they earn "REAL" rewards. 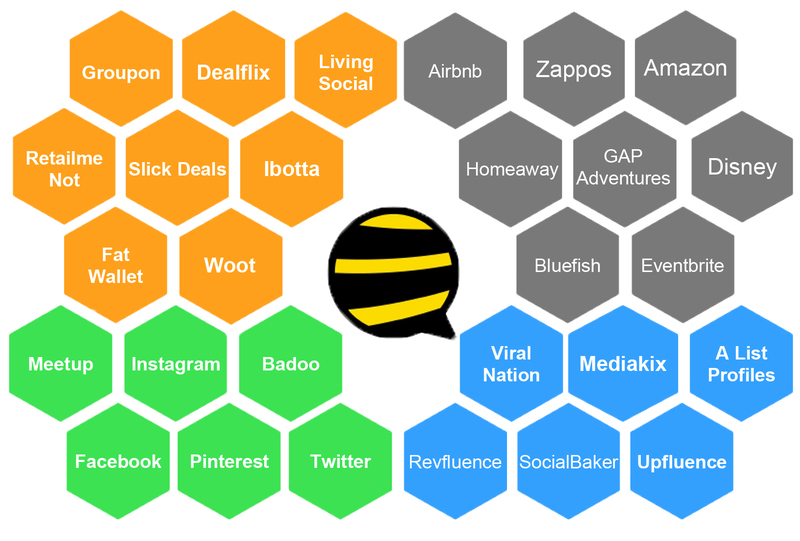 Everyone wins, with help from Hunny’s strong social Influencer base, the data and insights from the Company’s social e-commerce ecosystem (“The Hive") will allow the delivery of highly targeted deals to the users most interested in receiving them. And for their loyalty to the platform and data usage, Hunny rewards them for their time with Hunny loyalty points — Show me the money, Hunny! “I have given Hunny a lot of thought. I love the concept…"
To our knowledge, we would be the first company to combine unbelievable experiences, social media, deals, and influencers — all in one. Hunny plans to differentiate themselves from other deal sites by offering superior targeted experiences, and more variety. Plus, our platform offers a social media component which builds community, along with added traffic from influencers. You may be able to get each aspect of Hunny on its own on the market today — but to our knowledge, we're the first to combine them all. We plan to combine community, data, loyalty, convenience, and social influence — in one. Community: We're creating a like-minded community of people with shared passions and interests. Data: We plan to pay our users in loyalty points for providing us with their data. Users can use those loyalty points at their favorite establishments. We'll also serve users with targeted ads they'll love — benefitting our clients. Loyalty: Hunny plans to reward users for everything they do on the site. From window shopping to browsing influencers to purchasing experiences, users get rewarded for time they spend on Hunny. Convenience: Our goal is to combine all our experiences, influencers, and social communities into one easy-to-use platform. Users will be able to explore every angle of their interest on Hunny: from purchasing unique experiences, memorabilia, and products to chatting with fellow fans in a social media environment. Social Influencer Access: Users will have a chance to experience exclusive meet and greets with people they love. Influencers will be rewarded for promoting Hunny which will bring their fan-base to our site. As we accrue more and more influencers on Hunny we believe this can lead to corporate sponsors and an expanding customer base. 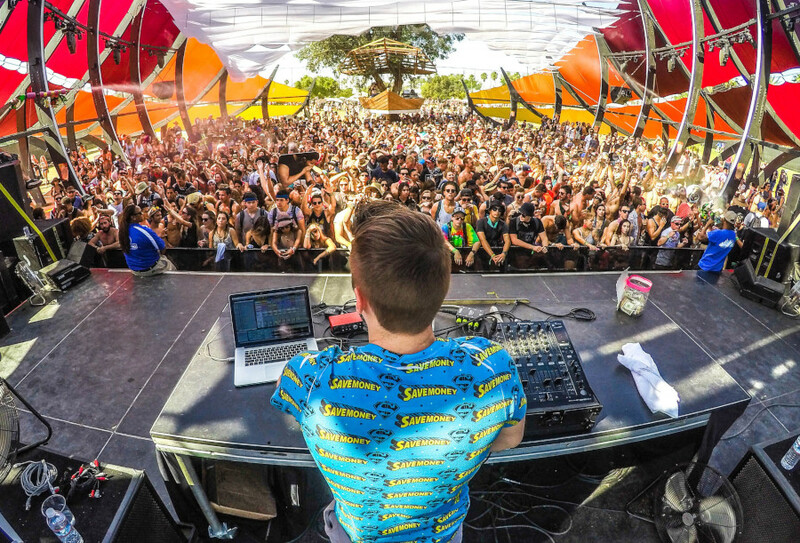 Digital influencers are online “tastemakers” with large and often rabid fan bases. 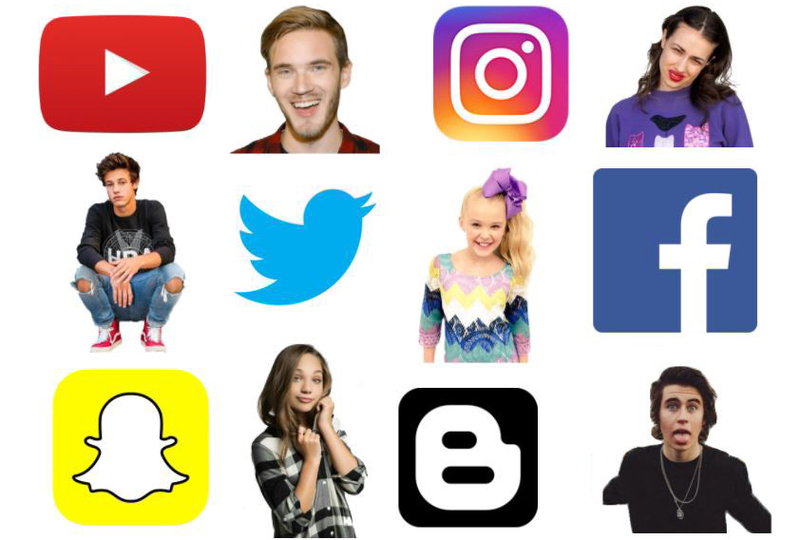 Many influencers rose to fame through social networks like YouTube or Instagram, and have to separately logon to each platforms to publish media and interact with fans. Not with Hunny! Existing services don't have access to local influencers to support their grass root marketing efforts. Data among the influencers' network and platforms is inconsistent. Bad data costs advertisers millions. Consumers receive ads for things they don’t want. Traditional customer engagement for businesses is antiquated and unreliable. Advertisers lose money because of a weary audience (due again in turn to the constant barrage of bad ads). Too many accounts to manage, not enough time to do-it-all, loss of engagement rate = loss of future income. Hunny aims to develop into a deal-driven social community: connecting businesses with customers. Providing users uniquely personalized and compelling social and interactive experiences. 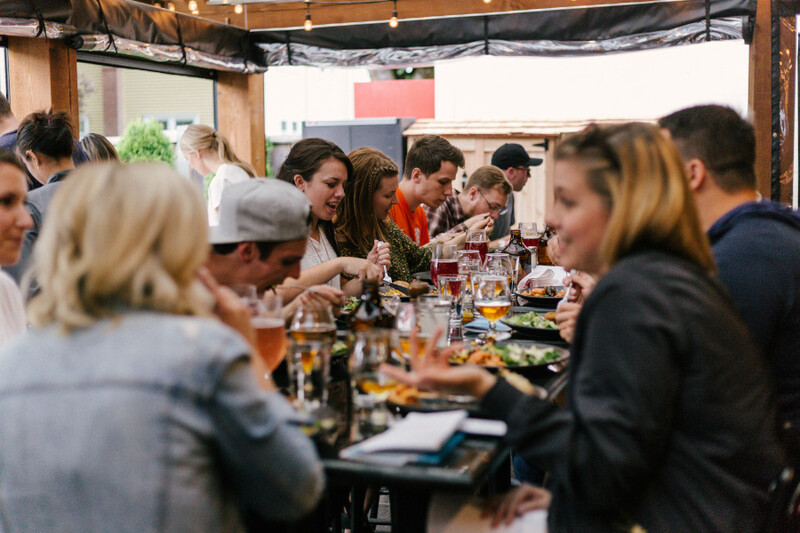 Providing businesses with relevant customer data and insights — think of it as a type of “Laser Groupon” model, so more focused and for extremely targeted audiences. One login, one dashboard to manage it all, more brands to market, future income gained. Our aim is to compensate influencers for the amount of fan base that each brings with a percentage in both fee and stock. We'll work with 100's of micro-stars with followings of even just 5,000 fans in some instances — this could potentially lead to 5-10MM fans collectively and more thereafter. Hunny plans to handle back-end heavy lifting, running social media campaigns around each offering that influencers can utilize. The only thing they have to do is press "send". We do not plan to charge influencers to use our platform. We plan to provide further exposure to influencers with traditional ad mediums like radio and TV advertising. Join Hunny’s already powerful team of influencers and investors in backing and creating Hunny. 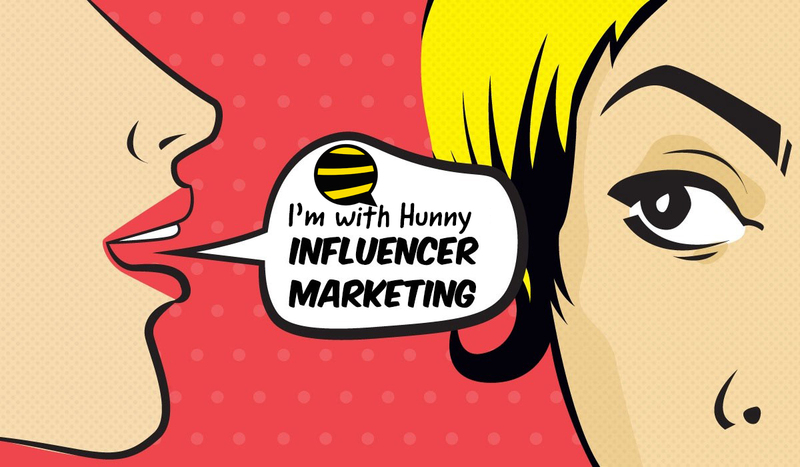 Influencers bring millions of fans and contacts to Hunny, creating powerful “hives” of activity that help build strong communities that attract corporate sponsors, advertising on our cyber real estate, and other financial interest. Influencers are rewarded for bringing their followers to our platform. Users are greeted with a fun, convenient, and individually curated platform for consumers interested in Sports, Music, Beauty or Fashion. This leads to increased market share and phenomenal growth opportunities. On our platform, every engagement, every like, click, tweet, and comment you get from a customer is how we build those connections and nurture that relationship. We've signed on groundbreaking influencers in every facet of business who are committed and bet big on Hunny. "I have reviewed the Hunny business plan and once the platform launches, I would be excited to get myself and my Fanbase of over 1 million followers involved." "I am very selective of who I trust my brand or my famous clients’ brands to. I am genuinely excited about what you have laid out as a vision for Hunny." "I am happy and elated to be joining Hunny as an influencer and growing my professional prowess." Official Brand Ambassador of U.S Polo Assn. Influencer Marketing Is now the Fastest-Growing Online Customer-Acquisition Method. The millennial experiential market is in the billions, and the influencer market is organically growing. By leveraging influencers to sell our product — in a beneficial way for both parties, we'll accelerate our reach to a massive amount of people. 40% of Customers Use Ad-Blocking Technology: This makes influencer marketing valuable. People don't block videos from their favorite social media celebrities. Advertising power is shifting to real people and influencers. 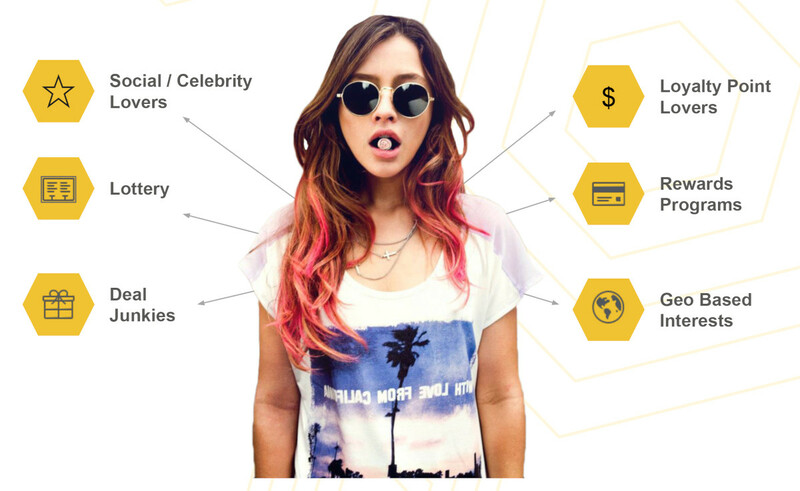 Hunny is aiming to be a one-platform-does-it-all income generation tool for Social Influencers looking to build clout and extend their reach into “universes” beyond their own field of expertise, while enhancing their celebrity image and visibility. 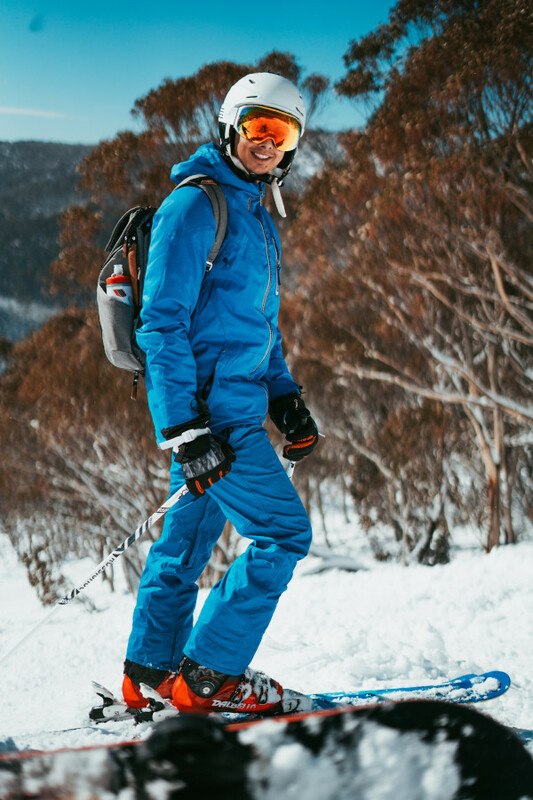 Hunny plans to be a Social e-commerce affiliate business partner for Brands, Experience Providers & Adventure Guides to maximize opportunities for influencers and users for unique interactive life journeys not otherwise available. Hunny anticipates developing into a data warehousing platform, building a powerful database and analytics with new insights and trends daily, while creating a formidable customization “mirror” of user preferences based on the ultimate data analytics to offer products and services reflecting user desires. Hunny plans to be a disrupting influence of change using a cutting-edge marketing platform for future engagers. We want to build a lasting, vast, habit-driven analytics database to become the Nielsen Rating for Influencers' performance and fees. 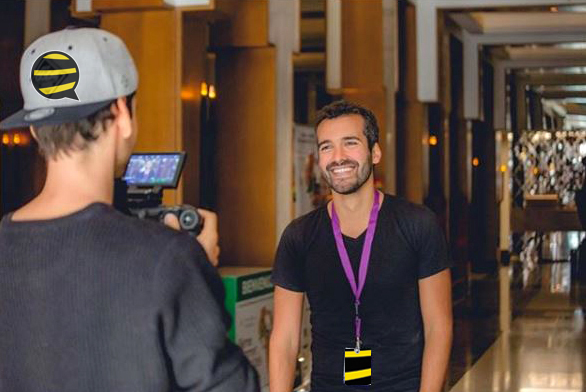 Hunny is determined to be the leader in delivering influencers one platform to harness all their social media accounts and give them access to AI to facilitate their growth while providing an audience that increases their engagement on all platforms. Hunny plans to process every post by its influencers and members to analyze data to form an understanding of how well an influencer fits with a brand. Hunny’s model consolidates all their social media into one place while adding a marketplace where they can promote events and sell their products or services specific to a particular niche. 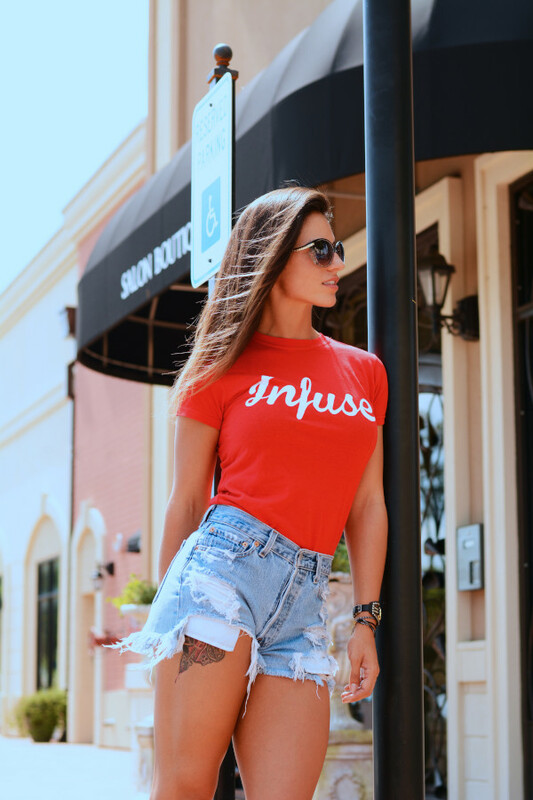 Hunny intends to help sponsor these influencers, with curated merchandise, trips, and events that can be promoted through our Lounges, increasing their visibility to a brand-new audience. Hunny plans to provide influencers with a full-suite of AI-driven marketing tools, not currently available to them. Hunny plans to provide a marketing dashboard for access to its existing database of Macro and Micro-influencers, giving them the ability to monetize themselves with Brands they may not have collaborated with; before being on our platform. Hunny plans to provide access to chatrooms for Influencers & Brands to collaborate on their creative visions. Hunny's social platform should allow people to connect over anything they love. They'll feel motivated to visit Hunny, gain information, execute e-commerce, engage with one another, and hopefully, win some value. Once people start using Hunny — why would they go anywhere else? Already, our Board of Directors is packed with heavy hitters who believe in Hunny. "The approach Hunny is taking to strategically align with micro influencers across a broad range of categories is innovative and bold. The further addition of combining influencer interests into specific ‘lounges’ with top ‘stars’ leading the way is unique and powerful." "I have studied the Hunny platform and model and determined it has… in the digital/social space… tremendous scaling potential. You’ve successfully married the world of influencers to experiential opportunities and the Internet.I am very delighted to be a part of this venture." Hunny feels exclusive, but it’s open to anyone who wants a sweeter life. Be part of this exciting venture and Join us! We recently closed an exciting marketing agreement with "Being Latino" and we are inching closer to closing a potential deal with OKTV. "Being Latino" allows us the potential to reach 5M people a week, each and every week, for one year. If the potential deal with OKTV is consummated, it would provide Hunny with additional messaging via an infomercial and showcase our logo and link to 4M plus people per week on their platform. When that deal is consummated, the combination together would give us the potential to lobby 9M people per week on our Hunny platform. Once you account for all the other existing influencers and sports stars, Hunny believes that that number could quickly rise to over 13MM people messaged by our audience of influencers. And, we're currently in negotiations with additional partners who could provide us with even more access to sectors we want. We're in discussions with another multiple-Grammy-Award-Winning producer to join our team. He would be a profound asset to Hunny as he also brings us 50-100 Celebrity YouTubers. There are three more compelling 'strategics' in deep discussion mode and we are careful NOT to disclose their information until there is a deal here, but each would provide Hunny both user aggregation access and celebrity and sports stars affiliations. With this Netcapital raise, we believe Hunny technology can be entirely built and fully functional for us to launch by year's end. Hunny plans to hire the necessary staff to start developing content in each of our verticals, pay toward technology, handle infrastructure issues, and more. With additional capital, we plan to (ultimately) be headquartered in Silicon Valley and have offices in BOTH LA and FL. This move should set up Hunny for significant funding from next level entities. "…Hunny is a great idea and we can help Hunny achieve its goals of building out a viable and valuable community." "I believe the Hunny platform to be the future of social media and how influencers like myself will grow their brand." "We believe there is a valuable association with Hunny. We believe we have the power to influence our viewers to visit your “hunny” platform." Signed Silver Logic as our "Technology Partner"
Signed Partnerships with "Being Latino"
Jeff Vanderpol is recognized as an innovator with a diversified history of entrepreneurial ventures in various tech, entertainment, and real estate sectors, as an innovator and Founder. His creative talents, combined with a visionary acumen predicting “the-next-big-thing,” lay the foundation for “HUNNY.” Jeff served as President and Founder of Softstar International Solutions, a multi-lingual, multi-currency International financial software company. He served as President and Founder of HugeClick.com which expanded to over 65 employees with media mogul Ted Field in the pivotal role as Chairman. Vanderpol also started a RE development company in Aspen, CO with just $10,000 and grew it into a company with tens of millions of dollars in RE holdings at its peak. 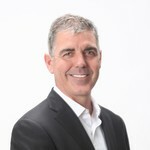 Kirk is a strategic leader and entrepreneur, who has over 25 plus years of business and technology experience; including "Launch of Setnet International" a startup venture partnership with General Instrument, acquired by Motorola in 2002, and PlantExpress.com purchased by Burpee Seeds in 2003. Among his many other talents, Kirk has valuable experience dealing with smart card systems, technology infrastructure and back end IT, straddling the fences between operations and management. With more than 20 years of prestigious national and regional firm experience, Mr. Brown has combined his exceptional financial and tax consulting skills and his passion to serve and collaborate with entrepreneurs and emerging businesses. His professional experience includes: Federal, multi-state and international taxation, Mergers and acquisitions, and exits strategy planning. 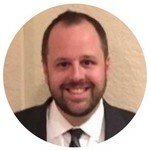 CSM with degrees in Computer Science and Mathematics, David architects platforms and innovative technology solutions combining APIs and cutting-edge technologies, such as AR and IoT. His mission is to streamline the process of bringing innovative ideas to life in order to enable more people to build amazing user experiences. 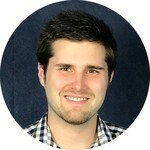 Joe Callahan, Founder and CEO of the Ciright Companies is an Internet of Things (IoT) expert. Combining a mix of engineering, programming and creative marketing, Joe specializes in eliminating traditional technology barriers across all industries. He is a highly sought after thought-leader serving the needs of businesses striving for growth, governments seeking efficiency, social service organizations attempting to scale, and manufacturers interested in maximizing productivity. As CEO and Founder of The Ciright Companies, Joe oversees more than 100 employees spanning several continents and over 15 brands. Each Ciright Company is focused on developing next-generation tools for small and large entities. The Ciright Companies also offers a TE (Technology Equity) Program whereby individuals or companies who have a compelling idea for a new product or service can pitch an internal team and ultimately partner with and leverage Ciright’s technology. 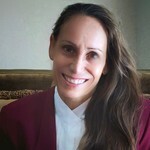 Over the last several years Christina has worked as a private consultant and owns Logitech Consulting, L.L.C. She has extensive experience working in the e-commerce space and has owned and operated her own e-commerce business. She is originally from Los Angeles, California, and studied at California State University Northridge (CSUN) earning a BA in Sociology, and did graduate work at University California Los Angeles (UCLA) studying business and legal. She now lives in Fort Lauderdale, Florida with her family. 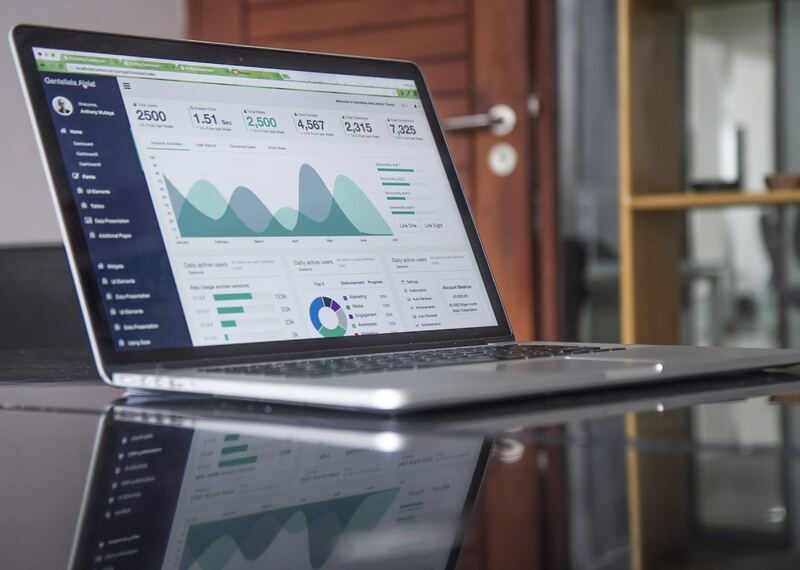 Michael has over 30 years of Sales and Marketing experience with the past 10 years specializing in SEO, SEM, Social Media and video marketing. 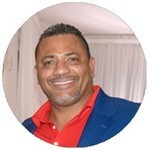 He owns and operates an Internet Marketing company. 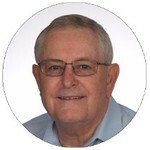 He previously worked for such companies as Verizon, MCI/Worldcom and Siemen's. Michael is a graduate of Philadelphia University with a BS in business. Born in Jamaica, Wayne grew up with close ties to both reggae and the Marley family. Diki Jobson, a cousin started Island Records along with Chris Blackwell and managed Bob Marley and the Wailers, while another cousin, Diane Jobson was Marley’s attorney. As a Double Grammy Award winning producer and A renowned artist himself, “Native Wayne” was spotted by Clive Davis’ Arista Records and was the first Reggae artist to be signed to the label. 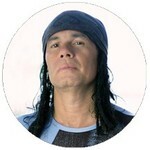 With his band, “NATIVE”, he recorded albums for Arista, RCA, Buddah, A&M and MCA Records. “NATIVE” opened shows for both reggae greats, Bob Marley and Peter Tosh. Featured as “Best Global Event Planner” on the FOX TV Series Best of South Florida, Lexye Aversa is Founder (1981) and President of Professional Touch International, orchestrating meetings, incentive travel programs and promotional marketing for multi-national entities (such as Sony, Fox, Lindt, CapitalOne, ADT, Ceridian, D&B, World Trade Centers, Medline, WRB Insurance, Life Extension, Red Cross, American Lung Asso, LPGA, Women’s Chamber of Commerce, and countless others). She deals at the C-level and with Heads of State on a daily basis, has received multiple awards for her achievements and philanthropic humanitarian endeavors. Media Host of LEX Travel and Producer of extravaganzas, the world is her stage as the ultimate “Cosmic Connector”. 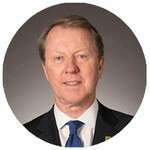 John Carson, former President of Cadbury Schweppes North America is Chairman of the Board, Managing Partner & Co-Founder of IBC. He is former Chairman, CEO and President of several leading beverage companies including Marbo, Inc. and Triarc Beverages, both private equity backed corporations. As Chairman of Triarc Beverages (RC Cola), he led the acquisition and integration of Snapple Beverages and expanded business internationally by leading negotiations in China, Japan, Mexico, South America, Russia and Poland. Mr. Carson sold the entire beverage portfolio of Triarc to Cadbury Schweppes, generating a significant return for investors. Ex President MGM Television – Media Corporate Relationships and past American broadcasting executive. Member National Association television Program Directors (executive committee since 1984), National Association television Program Executives (lecturer since 1983), National Academy television Arts and Sciences, International Radio and television Society Clubs: New York Athletic; Bel Air Country (Los Angeles). Former CFO of RJR Nabisco, Reader’s Digest Association, Reckitt & Colman, Footstar, Pepsi-Cola USA, and Cadbury Schweppes North America; Former President, Frito-Lay of Brazil, Cadbury Beverages NA, & Franklin Mint. 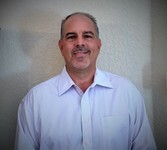 Steve is an accomplished C Suite executive for multi-national conglomerates, and brings extraordinary expertise and “blue chip” corporate liaisons to the Hunny platform. Ryan Beckman graduated from Western State College with a BA degree in Accounting/Finance Emphasis in 1999. Thru his experience in the industry, Mr. Beckman has analyzed financials for all size companies, voted on loan committees helping approve credit of up to $20MM, developed budgets for $100MM bank, and counseled business owners on how they can better run their businesses. In 2004, Mr. Beckman graduated from the Colorado Graduate School of Banking. In 2007, Mr. Beckman helped start a new bank in the resort area of Aspen, CO. During this time, Mr. Beckman grew his loan portfolio to $85MM in 18 months. 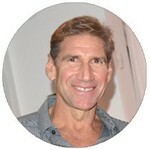 World Class Sports Chiropractor and Sports Doctor to the stars such as Xgames, Olympics, Hollywood stars, Motorsports. Entrepreneur to nine other businesses and startups worldwide. Be a Part of Hunny, Inc. This is an offering of Common Stock, under registration exemption 4(a)(6), in HUNNY, INC., doing business as Hunny, Inc.. This offering must raise at least $10,000 by July 12, 2019 at 12:00pm ET. If this offering doesn’t reach its target, then your money will be refunded. Hunny, Inc. may issue additional securities to raise up to $1,070,000, the offering’s maximum. Hunny, Inc.’s official name is HUNNY, INC., so that’s the name that appears in the statements below.